Robert Reich: Trickle-down economics is bald-faced lie to protect the rich. Robert Reich: Almost all post-Recession gains have gone to the top 1%. Ajamu Baraka: Worked to abolish death penalty as human rights activist. Ajamu Baraka: Abolition follows examining death penalty in a moral context. Bernie Sanders: Ok to sue gun manufacturers if they sell for misuse. Hillary Clinton: 2008: Fondly recalled being taught to shoot by grandfather. Robert Reich: Single-payer healthcare system is inevitable. Howard Dean: Missile defense programs only within ABM Treaty compliance. Howard Dean: Redirect military spending rather than reduce defense budget. Jill Stein: Hillary supports Wall Street, war and the Walmart economy. Robert Reich: Taxing the rich does not slow the economy. Ajamu Baraka: Killing Saddam & Kaddafi were arrogant white supremacism . 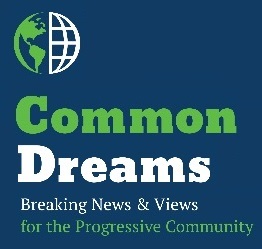 The above quotations are from CommonDreams.org political reporting and commentary.